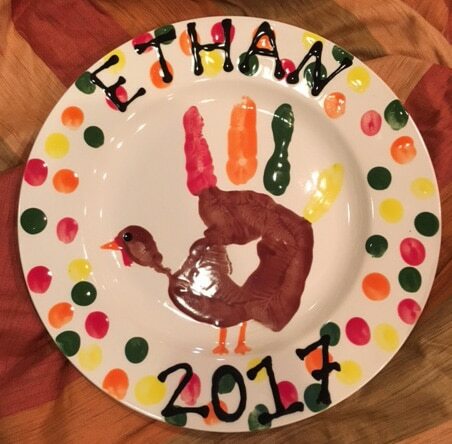 Parent’s Night Out on FRIDAY, NOVEMBER 10th: We will be creating a cute, custom Handprint Turkey Plate. It will include your child’s handprint, name and year so you will always remember when it was made! * $25 per child includes: – Handprint Turkey Plate – pizza and a drink – tons of fun! Reserve your spot now, space is limited.